Preheat oven to 160°C (320°F). Place the butter, sugar and lemon rind in the bowl of an electric mixer and beat for 6–8 minutes or until light and creamy. Gradually add the eggs, beating well after each addition. Add the flour, baking powder and yoghurt and beat until just combined. Spoon into a lightly greased 25cm-round cake tin lined with non-stick baking paper. Top with the peaches and bake for 1 hour or until cooked when tested with a skewer. Allow to cool for 10 minutes in the tin, then turn out onto a wire rack to cool. Dust with icing sugar and serve with cream. Serves 6. 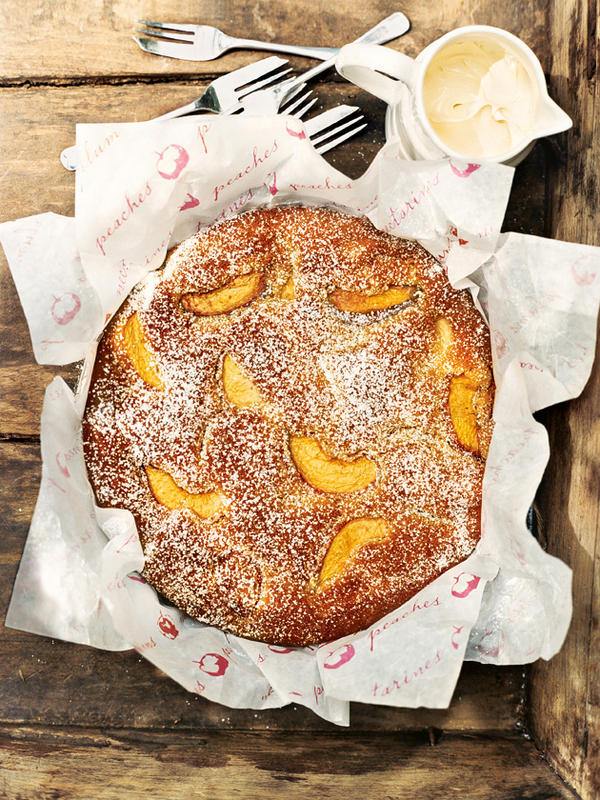 I just baked the cake and I love the combined flavour of the peach and the lemon. The cake tastes fresh and fruity.